Before he entered the cupcake business as the franchisee of Smallcakes Cupcakery and Creamery, Jody Thomas of Springfield had no idea the depth of the products he would be offering. Thomas, who opened a Smallcakes store in Springfield about six months ago, is planning to open a Champaign location at 2005 S. Neil Street in early September. It will reside adjacent to Cricket Wireless in space once occupied by Snooze, and will share that space with Checkered Moon, which revealed to Chambanamoms earlier this month that it was moving to Carriage Center with an Oct. 1 target date. 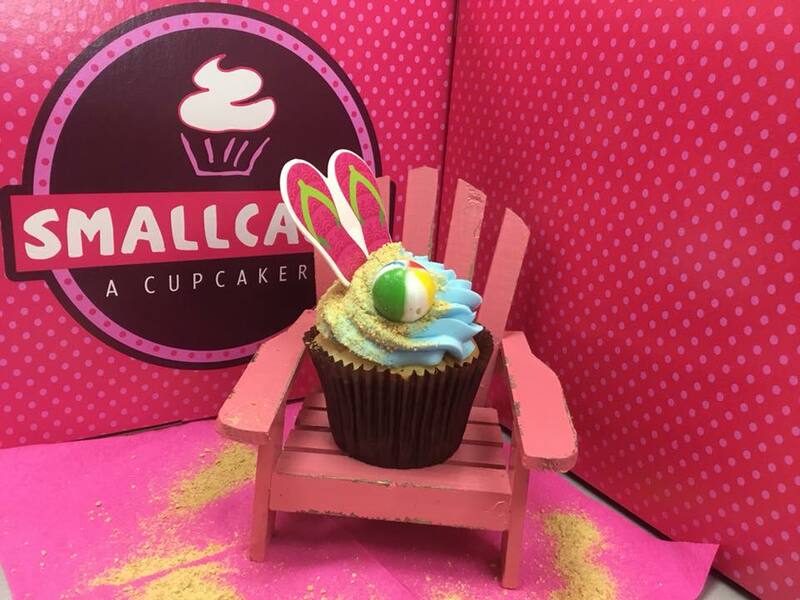 Smallcakes is a chain with more than 200 locations, including several clustered in the Chicago area. It was started in 2008 after Jeff Martin of Kansas City opened two stores and subsequently gained acclaim through appearances on the popular Food Network show “Cupcake Wars” (seasons 1, 2 and 7). After an appearance on ABC’s “The View,” Martin capitalized on an offer to franchise his brand and the success was immediate. USA Today soon named Smallcakes one of the top 10 cupcakes places to try in the country. The store offers 16 featured flavors of cupcakes daily (plus a weekly special), along with 70 flavors of ice cream that are rotated (approximately eight to 12 are available at any one time). Among the cupcake flavors are lemon drop, peanut butter cup, birthday cake, red velvet, pink chocolate, pink vanilla, hot fudge sundae and chocoholic. Cupcake prices start at $3.75 apiece, with six for $20 or a dozen for $36. Minis are available by special order (24 hours notice) for $18 per dozen. Ice cream is sold for $3.50 for one scoop, $6 for two scoops. The shop will be open Monday through Saturday, with hours likely in the range of 10 a.m-9 p.m, Thomas said. The store will be managed by his sister, Karen Mayer. Another sister runs the Springfield location, which has been wildly popular, Thomas said, sparking his interest in the Champaign-Urbana market.